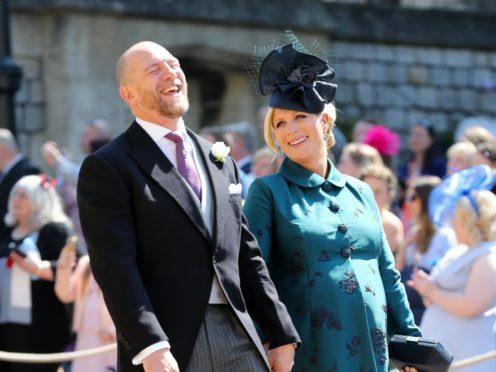 Zara Tindall has stepped out for the first time since welcoming her second child. The royal, who is married to former rugby player Mike Tindall, gave birth to daughter Lena Elizabeth on June 18. She was spotted on Saturday supporting her husband at the Celebrity Cup charity golf tournament in Newport. The champion equestrian rider stood with four-year-old daughter Mia in the sunshine as she watched Tindall’s tee shot on the fourth hole. Newborn daughter Lena is 19th in line to the throne and was born at Stroud Maternity Unit in Gloucestershire, weighing 9lb 3oz. Lena is pronounced Lay-na and Elizabeth is in honour of Zara’s grandmother, the Queen.